As the rains slow to a drizzle and the floodwaters begin to recede, one million people remain affected by the devastating natural disaster that occurred just six years after the 2004 tsunami. 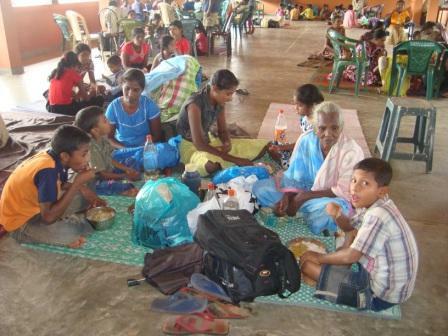 Sarvodaya General Secretary Dr. Vinya Ariyaratne points out that while with 30 deaths the casualties are significantly lower, as a full five percent of the population has been affected, the extent of the disaster is second only to that of the tsunami. The initial emergency phase has given way to the secondary phase, but the situation is still serious, with displaced people still unable to return to their homes or to resume their normal lives. Working closely with local government agencies, Sarvodaya is assessing needs and allocating resources wherever possible. The most urgent need is for clean water and sanitary conditions, as the wells that became contaminated during the flooding must be purified and sanitary facilities must be restored, re-built or replaced. 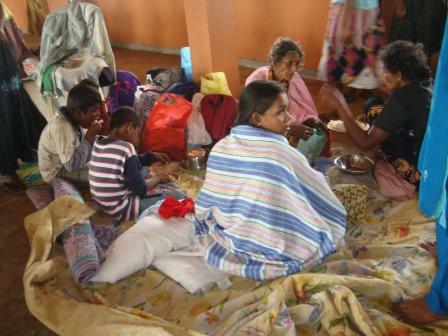 Many villagers still require assistance with shelter, and special attention must be paid to the needs of pregnant women, new mothers, children and the elderly. 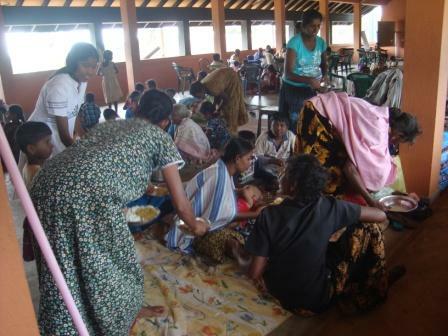 Over the coming weeks Sarvodaya will support government health efforts by making its single Mobile Medical Unit available to flood-displaced citizens. 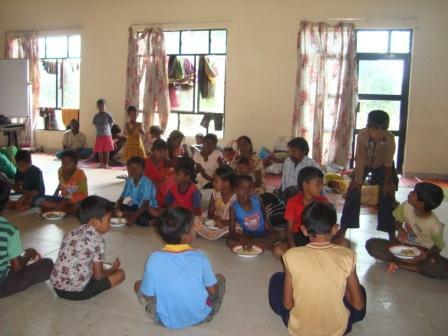 Sarvodaya is mobilizing to replace school books and supplies destroyed by the floods, to enable school children to return to school and daily routine as quickly and smoothly as possible. 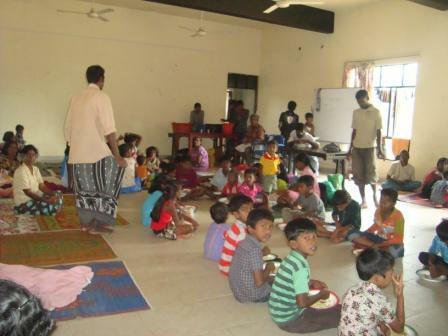 The Sarvodaya Disaster Management Unit is staffed round the clock with volunteers, including youth volunteers, who staff the phones to monitor requests from the field and receive and organize donations for distribution. The British Council donated a large shipment of bottled mineral water, and donations of baby bottles, sugar, tea, biscuits and clothing have been received in recent days. However, despite donations, much is still lacking.